With the Holidays slowly approaching ,we are all getting together for celebrations. This is The Portrait of Alice from the SBS wonderland collection.And she makes a great Invitation for an evening of light fare. 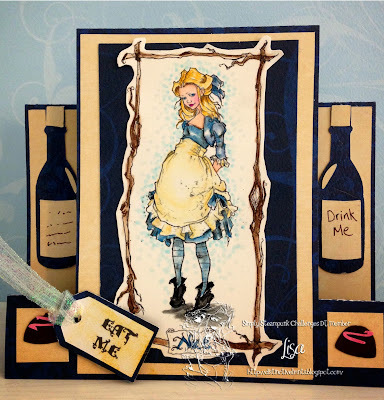 We all know ALICE is synonymous with "EAT ME" and "DRINK ME", so what better way to to ask your friends for a night of fun during the coming holidays. 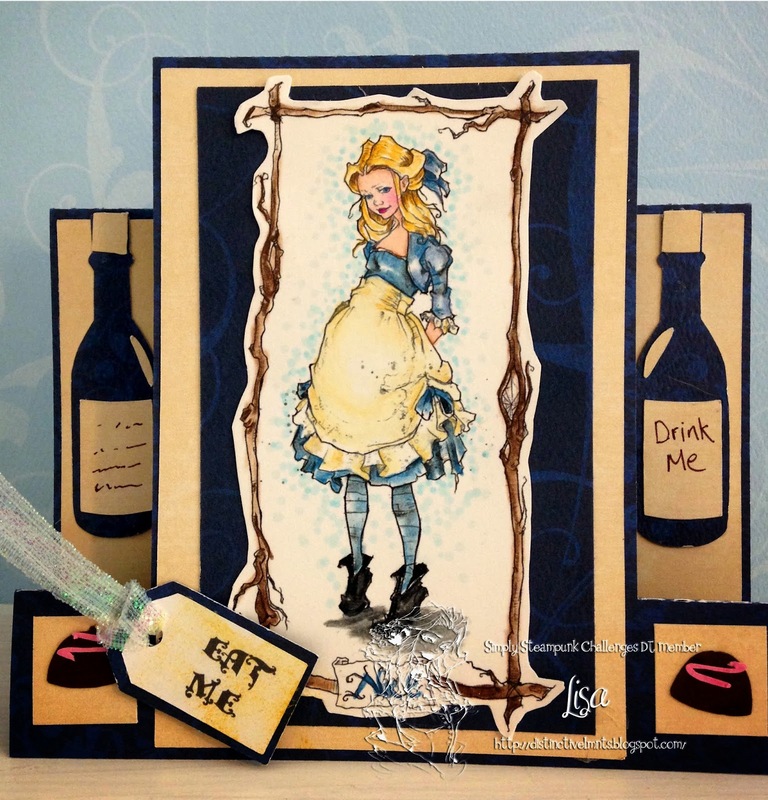 Don't forget to pop in Simply Steampunk challenges and show us your party card or invite. 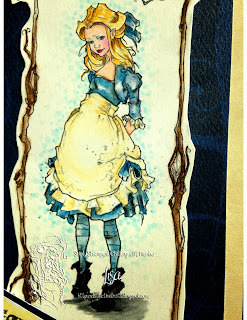 Your colouring is simply stunning and the centre step card just perfect to show off the embellies and theme you chose!